Description: The flowers are vase-shaped, 1/2 inch (1.3 cm) long, and have 4 curled petals lined with maroon veins. 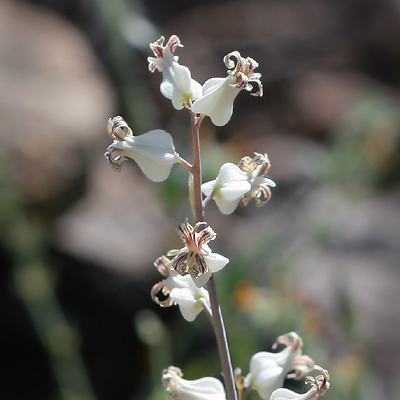 The flowers are typically white or cream here, but they may be yellow or purple elsewhere. 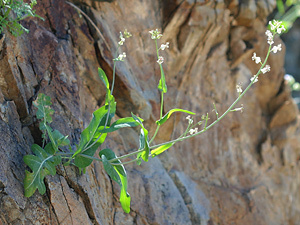 The leaves clasp the stems and are glaucous green, lobed lower on the plant, and lance-oblong, lance-ovate, to elongated triangular in shape. The stems are tall and slender.